Once a visitor reaches Venice he travels by boat rather than car, along waterways rather than by road. Venice is like no other city in Italy and indeed is unique in the world. As you wander by foot around this extraordinary place, enjoy a cup of coffee in St. Mark’s Square, admire the palaces, canals, churches or narrow backstreets, you realize that over the past five centuries Venice hasn’t changed much at all. Yet while the unusual form of the Doge’s Palace, the profusion of architectural styles of St. Mark’s Basilica, the marbles decorating magnificent palaces on the Grand Canal or the famous Rialto Bridge are all striking, they remain unreal and cold without the human stories that bring them alive. With a local guide, a person who lives in Venice, you can discover many hidden corners of the city. 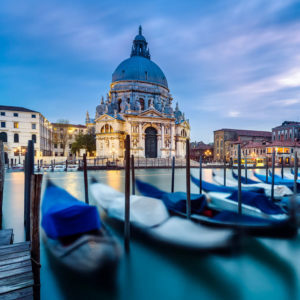 You can learn not only about Venice’s painting and architecture, music and sculpture, but also about her intrigues and romantic stories, legends and mysteries. You can paint masks or try on costumes, blow glass and have a gondola ride. This was the city of illustrious courtesans and Casanova, of love and betrayal, of weapons and the greatest shipyard in the world. 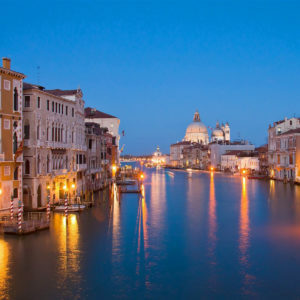 Venice was the mistress of the Mediterranean, the principal crossroads between East and West. The city’s geographical position made it the richest and the most prosperous commercial centre in the world. Everyone dreamt of being a Venetian! 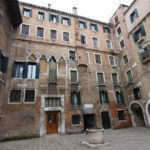 Venice was the city of books (producing the first printed editions of the Talmud and the Koran, as well as the first translations of Greek and Latin poetry classics), of cosmetology (some distillation methods invented by perfumers here are still used nowadays), and of medicine (the first anatomical researches were carried out here). La Serenissima (the Most Serene) was an extraordinary place to live. Even if today Venice maintains essentially the same appearance that she presented to the world centuries ago, she still hides secrets of her great history. A Venice guide can help you discover and explore them. 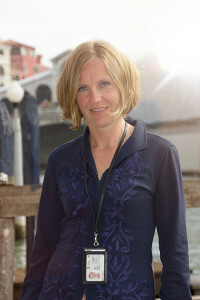 Join a group of 5-15 tourists for a classic, one-and-a-half-hour guided tour of Venice. Tours begin daily at 3.00 pm at St. Mark’s Square between the two columns. We visit Venice’s main square, the places where Marco Polo lived , Casanova loved and Veronica Franco created her poems. 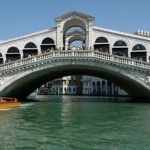 We pass Rialto Bridge and discover the most beautiful corners of the city. The tour costs 25 Euros per person. To book, simply write to nataliya.italy@gmail.com at least 24 hours before the day of the tour. Please bring along the guide’s e-mail confirmation!